"Would you believe me if I tell you that this wall hanging is made almost ENTIRELY of just Flying Geese units? IT IS! 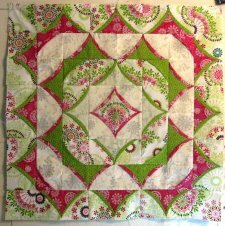 Now it is not your grandma's Flying Geese block...it is a fabulous, one-seam, 3-D Flying Geese! 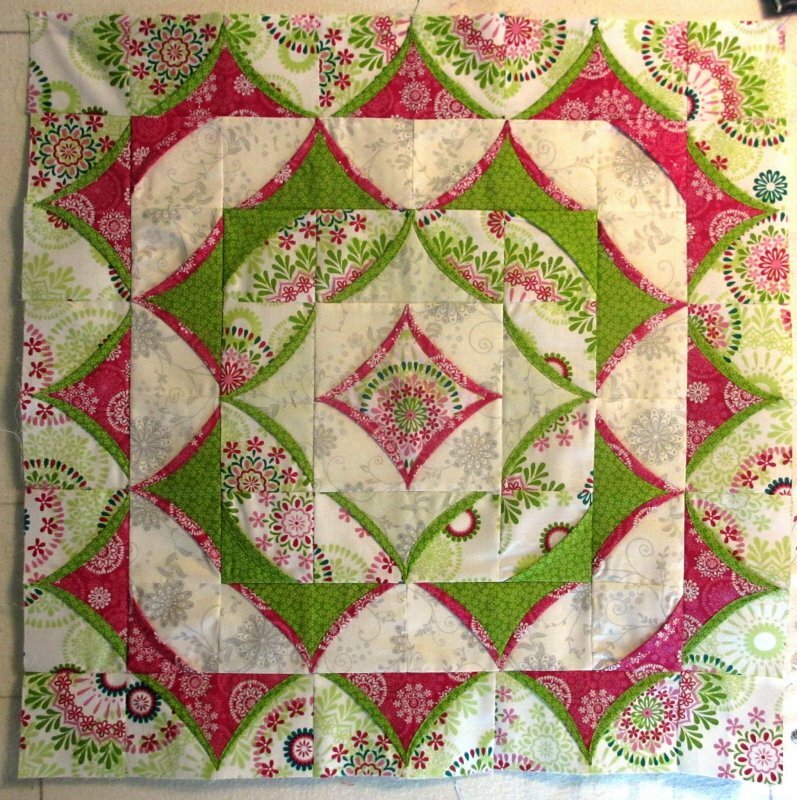 (now that is a mouthful) So, even though you see all these curved edges and some seemingly complicated looking blocks, this small wall hanging (or a table topper) is made with all straight seams and few little tricks!"